Countries and territories using 999 include Bahrain, Bangladesh, Botswana, Ghana, Hong Kong, Kenya, Macau, Malaysia, Mauritius, Qatar, Ireland, Poland, Saudi Arabia, Singapore, Swaziland, Trinidad and Tobago, Seychelles, the United Arab Emirates, the United Kingdom and Zimbabwe. 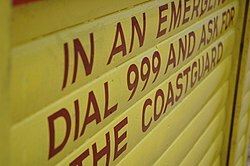 999 is the official emergency number for the United Kingdom, but calls are also accepted on the European Union emergency number, 112. All calls are answered by 999 operators. Calls are always free. First introduced in the London area on 30 June 1937, the UK's 999 number is the world's oldest emergency call telephone service. The system was introduced following a fire on 10 November 1935 in a house on Wimpole Street in which five women were killed. A neighbour had tried to telephone the fire brigade and was so outraged at being held in a queue by the Welbeck telephone exchange that he wrote a letter to the editor of The Times, which prompted a government inquiry. The initial scheme covered a 12-mile (19 km) radius around Oxford Circus and the public were advised only to use it in ongoing emergency if "for instance, the man in the flat next to yours is murdering his wife or you have seen a heavily masked cat burglar peering round the stack pipe of the local bank building." The first arrest – for burglary – took place a week later and the scheme was extended to major cities after World War II and then to the whole UK in 1976. The 9-9-9 format was chosen based on the 'button A' and 'button B' design of pre-payment coin-operated public payphones in wide use (first introduced in 1925) which could be easily modified to allow free use of the 9 digit on the rotary dial in addition to the 0 digit (then used to call the operator), without allowing free use of numbers involving other digits; other combinations of free call 9 and 0 were later used for more purposes, including multiples of 9 (to access exchanges before STD came into use) as a fail-safe for attempted emergency calls, e.g. 9 or 99, reaching at least an operator. As it happens, the choice of 999 was fortunate for accessibility reasons, compared with e.g. lower numbers, because in the dark or in dense smoke 999 could be dialled by placing a finger one hole away from the dial stop (see the articles on rotary dial and GPO telephones) and rotating the dial to the full extent three times. This enables all users including the visually impaired to easily dial the emergency number. It is also the case that it is relatively easy for 111, and other low-number sequences, to be called accidentally, including when transmission wires making momentary contact produce a pulse similar to dialling (e.g. when overhead cables touch in high winds). Hoax calls and improper use are an issue. For these reasons, there are frequent public information campaigns in the UK on the correct use of the 999 system. Alternative three-digit numbers for non-emergency calls have also been introduced in recent years. 101 was introduced for non-urgent calls in England and Wales The scheme was extended to Scotland and Northern Ireland. Trials of 111 as a number to access health services in the UK for urgent but not life-threatening cases began in England in 2010. The main roll-out occurred from 2011 to 2013, with a number of delays, and was completed by February 2014. In Scotland, the NHS24 service moved from 0845 424 2424 to 111 on 29 April 2014. NHS Direct Wales continues to use 0845 46 47 despite it costing up to 57p per minute from mobile phones. In 2008–2009, Nottinghamshire Police ran a successful pilot of Pegasus, a database containing the details of people with physical and learning disabilities or mental health problems, who have registered with the force because their disabilities make it difficult for them to give spoken details when calling the police. Those registered on the database are issued with a personal identification number (PIN) that can be used in two ways. By phone – either 999 or the force's non-emergency 101 number can be used – once a person is put through to the control room, they only need to say "Pegasus" and their PIN. Their details can then be retrieved from the database and the caller can quickly get on with explaining why they have called. In person – the Pegasus PIN can be told or shown to a police officer. Pegasus is also used by the City of London Police, Dyfed Powys Police, Surrey Police & Lincolnshire Police. The introduction of push-button (landline, cordless and mobile) telephones has produced a problem for UK emergency services, due to the ease of same-digit sequences being accidentally keyed, e.g., by objects in the same pocket as a telephone (termed 'pocket dialling') or by children playing with a telephone. This problem is less of a concern with emergency numbers that use two different digits, such as 112 and 911 although on landlines 112 suffers much of the same risk of false generation as the 111 code which was considered and rejected when the original choice of 999 was made. The pan-European 112 code was introduced in the UK in April 1995 with little publicity. It connects to existing 999 circuits. The GSM standard mandates that the user of a GSM phone can dial 112 without unlocking the keypad, a feature that can save time in emergencies but that also causes some accidental calls. All mobile telephones will make emergency calls with the keypad locked. Originally a valid SIM card was not required to make a 999/112 emergency call in the UK. However, as a result of high numbers of untraceable hoax calls being made, this feature is now blocked by all UK networks. Most UK mobile telephone handsets will dial 999/112 without a SIM inserted (or with a locked/invalid SIM), but the call will not be connected. Following the blocking of SIM-less calls, in 2009 the UK networks introduced emergency call roaming. This allows a user with a valid SIM of a UK network to make emergency calls on any network for which they have coverage. Silent solution 55 is the name given to the initiative that allows people to call 999 when they aren’t able to speak. If there is no answer, the operator will then ask you to cough, or make another audible sign that you’re in need of police assistance. If you’re in too much danger to make any sound at all, the call will be put through to an automated system which asks the caller to press 55 if they’re in danger. 999 or 112 is used to contact the emergency services upon witnessing or being involved in an emergency. In the United Kingdom, the numbers 999 and 112 both connect to the same service, and there is no priority or charge for either of them. Callers dialling 911, the USA's emergency number, may be transferred to the 999 call system if the call is made within the United Kingdom from a mobile phone. All telecoms providers operating in the UK are obliged as part of their licence agreement to provide a free of charge emergency operator service. As of 2014 emergency calls made on any network in the UK are handled by BT. On dialling 999 or 112 an operator will answer and ask, "Emergency. Which service?" Previously operators asked "Which service do you require?" (approximately up to the mid-90s). The operator will then transfer the call to the appropriate service's own call-taker. If the caller is unsure as to which service they require, the operator will default the call to the police, and if an incident requires more than one service, for instance a road traffic accident with injuries and trapped people, depending on the service the caller has chosen, this service will alert the other services for the caller (while the operator has to also contact each emergency service individually, regardless of whether the caller has remained on the line). The caller will be connected to the service which covers the area that they are (or appear to be) calling from. On 6 October 1998, BT introduced a new system whereby all the information about the location of the calling telephone was transmitted electronically to the relevant service rather than having to read it out (with the possibility of errors). This system is called EISEC (Enhanced Information Service for Emergency Calls). Previously, the operator had to start the connection to the emergency service control room by stating the location of the operator, followed by the caller's telephone number, e.g. "Bangor connecting 01248 300 000". It was common for the person calling to be confused as to why the operator was talking to the emergency service, and the caller frequently talked over the operator. Only around 50% of the emergency authorities have EISEC, although the number is ever increasing, so, in those cases without EISEC present, the operator still has to pass their location and the caller's number. Although the initial response to all 999 calls is in English, callers who reply in Welsh are transferred to the Bangor control room where the call will be taken by Welsh speaking operatives. The rooms in which operators work are called operator assistance centres (OACs). There are 6 BT OACs. The rooms in which emergency response operators work are called Emergency Control Centres (ECCs) and are operated by local authorities. In some situations there may be specific instructions on nearby signs to notify some other authority of an emergency before calling 999. For example, bridges carrying railways over roads may carry signs advising that if a road vehicle strikes the bridge the railway authority (Network Rail in most instances) (on a given number) should be called first to alert the railway operator of the potential of a major incident occurring should a train pass over the damaged bridge. Network Rail has its own procedures to alert trains to the emergency and to stop them if necessary. The instructions on the signs then state 999 should then be dialled and that the Police should be requested. Access to the 999/112 service is provided for the hearing-impaired via Textphone and use of the Text Relay service, run by BT to cover all telephone providers, and previously known as the RNID "Typetalk" relay service. The number is 18000. 999 is also accessible via SMS for pre-registered users. [a] The service is open for anyone to register and works with all major providers in the UK. It is important for the caller to be aware of their location when phoning for the emergency services; the caller's location will not be passed onto the emergency services immediately, and finding the location requires a combination of efforts from both parties. However it is possible to trace both landline and mobile telephone numbers with the BT operator; the former can be traced to an address. The latter can be immediately traced to a grid reference according to the transmitter being used, however this is only accurate to a certain wide area — for more specific traces senior authority must be acquired and an expensive operation can be conducted to trace the mobile phone to within a few metres. A number of smartphone apps can now be downloaded that assist with caller location by using the smartphone's satellite navigation features. Since 2014, smartphones will detect that an emergency call is being placed, and use any available location services (WiFi or GPS based location) to send an emergency SMS which also contains an identifier for the call. This is intended to be received by the mobile operator whilst the call is in progress. On some occasions callers will be put through to the wrong area service – this is called a "misrouted nines". The most common reason for this is when a mobile phone calls 999 and is using a radio transmitter that is located in another force area; most frequently these are calls that are made within a few miles of a border. Upon establishing the incident location, the emergency service operator will relay the information to the responsible force for their dispatch. In most areas, other forces will respond to incidents just within the border if they could get there quicker, assist, and then hand over to the other force when they arrive. On strategic routes like almost all motorways and some major A roads in the United Kingdom, Highways England have placed blue signs with the location printed on them, at approximately 500 metre intervals. Although emergency SOS phones are placed along the hard shoulder on all motorways (or in emergency refuge areas on smart motorways) which automatically send location information to the Highways England regional control centre (RCC), most people involved in a road emergency call for help using their mobile phones and so must be able to identify their location. These signs contain a code which can be given to the emergency operator or the RCC to locate you quickly. For example, a sign may say "M1 A 100.5". This translates as the M1 motorway, on the "A" carriageway, at 100.5 kilometres from the M1’s nominal start at the North Circular A406. The "A" and "B" carriageways are designated by Highways England to each carriageway, dependent upon which direction it travels; these normally refer to whether the carriageway goes “Away from London” or “Back to London.” On circular motorways like the London Orbital M25 and M60 Manchester Outer Ring Road, the clockwise carriageway is the A carriageway and the anti-clockwise carriageway is the B carriageway. Letters J, K, L and M refer to slip roads at junctions. These signs are in addition to the pre-existing 100m distance marker posts alongside the carriageway. An abandoned call is when a caller, intentionally or otherwise, rings 999 and then ends the call or stays silent; this could be for any number of reasons, including coercion or harm coming to the caller. Abandoned calls are filtered by emergency operators BT and Cable & Wireless, and are either disconnected or passed on to police. They are normally disconnected by the operator repeating "Emergency. Which service? ", then if no response is given, the operator will say "Do you need police, fire or ambulance?". If there is still no response, the operator will sometimes ask the caller to press the keypad or make a noise if they need assistance. If no response is given, they will confirm they are clearing the line. For abandoned calls, if the caller requests the police and the call is routed to police and then the line is dropped, either while waiting for connection or on the line with police, they are checked by police and a call back will be done. If there is no answer, the police service are likely to attend and if the line is disconnected without the caller telling the operator which service they need, they then make a decision to filter the call to police (if suspicious background noise) or clear the line. Accidental dialling of 999 on mobile phones. As a GSM standard, mobile phones still allow emergency calls to be made even with the keypad locked. In Ireland, 999 (and the European and GSM standard 112) are the national emergency numbers. The 999 and 112 service is able to respond in English, Irish (As the first official language, public services are always available in English and Irish), Polish, French, German and Italian. 999 and 112 operators in Ireland answer the calls in under one second and say "Emergency, which service?". The caller may then request the Gardaí (the Irish police), ambulance, fire service, coastguard, or cave and mountain rescue service. The caller is then transferred to the emergency dispatcher for the appropriate service. In Bangladesh, 999 is the national emergency number. It officially launched on 11 December, 2017. This number is toll-free. Calling this number connects the caller to an operator, who then connects the caller to the police, ambulance or fire service. The services are provided under the national help desk, which has been set up at a cost of Tk 60.50 crore. In the past, dialing 100 would connect to Bangladesh Police, 101 to Rapid Action Battalion, 102 to fire services, 103 to ambulance service and 104 to the Access to Information Programme under the Prime Minister's Office. 999 was introduced to Hong Kong for emergency services (Police, Fire-fighting Services and Ambulance Services) during British rule and continues to be used following the transfer of sovereignty. Macau also adopted the 999 number; it also introduced two emergency hotline numbers: 110 (mainly for tourists from mainland China) and 112 (mainly for tourists from overseas). The worldwide emergency number for GSM mobile phones, 112, also works on all GSM networks in the country. Calls made to this number are redirected to the 999 call centre. The 999 emergency services in Malaysia is staffed by about 138 telephonists from Telekom Malaysia. Like Singapore, the number was inherited from British rule and continued after independence. Ongoing upgrading works are taking place to introduce the Computer-Telephony Integration (CTI) for hospital exchanges, digital mapping to track the callers' locations and Computer Assisted Despatching (CAD) for online connectivity among the agencies providing the emergency services in the country. All calls to the number are made free of charge. In the late 90s, the number 994 was adopted as a direct connection to fire stations, but use of the number has been discontinued due to cost-saving measures taken by the government. 991 Connects to civil services. Mauritius uses the 999 emergency number for police contact only. The other emergency numbers in use are 114 for emergency medical assistance and 115 for the fire service. The 112 emergency number is an all-service number in Poland like in other EU states, but old numbers that were traditionally designated for emergencies are still in use parallel to 112. Those are 999 for ambulance, 998 for fire brigade and 997 for police. In the United Arab Emirates the 999 service is used to contact the police who are also capable of forwarding the call as appropriate to the ambulance or fire services. The number 998 connects directly to the ambulance service and 997 to the fire brigade. In Singapore, the number 999 was inherited from British rule and continued after independence. The number is attributed more to requesting for the police, with the number 995, established in 1984, used for direct lines to the fire brigade and ambulance services of the Singapore Civil Defence Force. Because most of the population of Singapore is Chinese, it is likely that 995 was adopted because the Chinese pronunciation for that number (九九五, jiŭ jiŭ wŭ) sounds similar to the Chinese phrase for 'Save me' (救救我, jiù jiù wŏ). The Kingdom of Swaziland uses the 999 emergency number for police contact only. Also 975 for human trafficking reports. The other emergency numbers in use are 977 for emergency medical assistance and 933 for the fire service. In Trinidad and Tobago, 999 is used to contact the police only. The number 990 is used for the ambulance service and fire brigade. In 1959, Winnipeg, Manitoba (16 municipalities) used 9-9-9 as the first North American deployment of a local unified emergency number. North America later standardised on 9-1-1, with +1-204-999-xxxx eventually reassigned as a standard mobile telephone exchange. Look up 999 in Wiktionary, the free dictionary. ^ "Call charges and phone numbers". GOV.UK. Retrieved 8 March 2019. ^ "999 celebrates its 75th birthday". British Telecom. 29 June 2012. Archived from the original on 17 July 2012. Retrieved 21 January 2019. ^ "Home". Bay Search and Rescue. 2016. Retrieved 21 January 2019. ^ a b "999: can somebody help? It's an emergency". The Times. London. 9 September 2009. Retrieved 11 September 2009. ^ "The fire in Wimpole Street". The Times. London. 11 November 1935. Retrieved 11 September 2009. ^ Holland, Gary (13 May 2010). "Why 999 for an emergency?". BBC History. Retrieved 1 July 2012. ^ a b Moore, Keith (30 June 2012). "Dial 999: 75 years of emergency phone calls". BBC News. ^ Atkinson (1950). Telephony, Volume 2. Pitman. ^ "999 celebrates its 70th birthday". BT plc. 29 June 2007. Archived from the original on 2 March 2009. Retrieved 2 March 2009. ^ "When are silent 999 calls cut off?". BBC News. 26 November 2008. Archived from the original on 3 December 2008. Retrieved 26 November 2008. ^ "Welcome to 101". Home Office. ^ "New 101 number for non-emergency PSNI calls". BBC News. 14 March 2014. ^ "New 111 telephone number". NHS 24. 29 April 2014. Archived from the original on 29 April 2014. ^ "New 111 freephone number for NHS 24 helpline". BBC News. 29 April 2014. Archived from the original on 29 April 2014. ^ "Mobiles blamed for emergency calls". BBC News Online. 21 March 2000. Retrieved 12 December 2008. ^ "Access Codes: Options for the future". Oftel. May 2000. Retrieved 31 July 2012. ^ "Silent 999 Calls". West Yorkshire Police. Retrieved 6 June 2017. ^ "What happens when you call 999". London Ambulance Service. 8 July 2013. Archived from the original on 8 January 2018. Retrieved 23 March 2016. ^ "Welsh Language Policy". BT plc. Retrieved 11 September 2018. ^ "Questions and answers". Emergency SMS. Retrieved 22 February 2017. ^ "Enhanced 999 facility for mobile phones". Ofcom. 15 January 2004. Archived from the original on 6 June 2013. Retrieved 7 June 2012. ^ "Location information for emergency calls from mobile phones" (PDF). Ofcom. ^ a b "Driver location signs". The Automobile Association. Retrieved 25 July 2018. ^ "Silent 999 Calls". Hertfordshire Constabulary. Archived from the original on 6 June 2017. Retrieved 1 June 2017. ^ "Home". 112.ie. Archived from the original on 18 February 2011. Retrieved 22 February 2011. ^ "Irish awareness of emergency number low". RTÉ News. 11 February 2009. ^ "Bangladesh officially launches 999 emergency helpline". BDnews24.com. 12 December 2017. Archived from the original on 12 December 2017. Retrieved 15 December 2017. ^ "Toll-free national help desk '999' gets live". The Star. 4 December 2016. Archived from the original on 4 December 2016. Retrieved 15 December 2017. ^ "Mauritius: Country Specific Information". United States Department of State. 4 August 2011. Archived from the original on 4 August 2011. Retrieved 18 January 2011. ^ "History of the Winnipeg Police Service". City of Winnipeg. Retrieved 21 January 2019. ^ "Call 999 emergency line for help in Winnipeg". CBC Archives. Retrieved 21 January 2019. ^ "Local calling guide: NPA-NXX search". www.localcallingguide.com. Retrieved 21 January 2019.